Whoot whoot, this roadtrip is getting better and better; after Nice, Saint Tropez, Monaco, Cinque Terre, Pisa and some more small villages, tomorrow it's Milano's turn! Exited big time!! What to wear, what to wear...Of course i thought about that when packing (with all those fashionable cities on the travel list, i felt the pressure :) ), and stuffed some heels besides the sandals and flipflops. But, i broke them!! In Saint Tropez!! 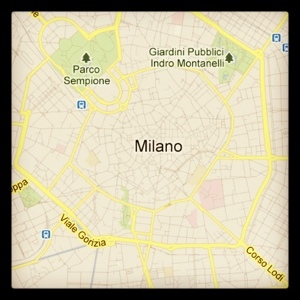 So now it is going to be entering Milan on flats... at first, and shoe shopping second ;).